Miami, FL - The Graham Companies and Main Street Merchants invite South Floridians to join them for the 32nd Annual Main Street Festival of Lights, slated for Saturday, November 26th from 5:00 P.M. to 9:00 P.M. Every holiday season Main Street becomes that magical place to make memories with family, friends and loved ones. This year those memories will be brimming as guests of all ages join the festive fun, experiencing a series of holiday-themed activities along the two blocks of Downtown Miami Lakes. Visit Main Street, and discover for yourself why this charming shopping, dining, and entertainment destination has allured generations of prominent locals and travelers to its paradisal setting. Arrive early; bring your family and friends before the festival begins and take advantage of the sales in honor of Small Business Saturday® – a day to celebrate and support small businesses and all they do for our local communities. Meet the Main Street Merchants, and get a head start by planning your Small Business Saturday® purchases for a successful holiday shopping experience. At the 32nd Annual Main Street Festival of Lights, there will be something for each and everyone to enjoy throughout the night, such as the Lighting of Main Street, Live DJ, Photo Stations, performances by students from local schools, characters and lots of complimentary activities for children to experience courtesy of presenting sponsors, The Graham Companies and Main Street Merchants, and supporting sponsor Publix Super Markets. Media partners include the Miami Herald, Y100 Miami’s #1 Hit Music Channel and 93.9 MIA, Miami's Rhythm From the '80s to Now. The festivities continue throughout the night at Main Street, which will be transformed into a holiday wonderland for this captivating evening. Santa Claus is coming to the Town of Miami Lakes, and he’s not camera shy. Come take pictures with Santa and meet Mrs. Claus, proceeds from all photo purchases will benefit Miami Lakes Boy Scouts Troop 49. “The lighting of Main Street has been a favorite tradition in the community for 32 years. We are truly fortunate to be a part of such a celebration that continues to draw so many families together to kick-off the holiday season,” said Andrea Graham Rechichi, Corporate and Customer Relations Manager at The Graham Companies. The annual “Festival of Lights” has celebrated time-honored traditions and heartwarming experiences for over three decades. The #MainStreetFOL is a favorite among residents of Miami Lakes, who welcome residents of neighboring cities each year to bring in the holidays through this diverse multicultural celebration. 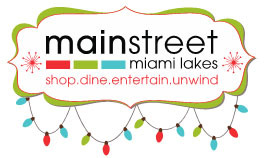 Make the most of your visit to Main Street, situated in the heart of Downtown Miami Lakes, and take in all that this holiday festival and the numerous local restaurants, shops and attractions the historic Town of Miami Lakes have to offer. WHEN: Saturday, November 26th, 2016, from 5:00PM to 9:00 P.M.
Tree Lighting Ceremony to take place on the Main Stage at 6:30 P.M.
Live Trucks are welcomed to transmit live from Main Street, we ask those interested to advise us ahead of time in order to make the proper arrangements. Please contact Rixys Alfonso at (305) 558.8877 or via email rixys@causemomarketing.com. A family tradition of service since 1932, The Graham Companies is best known for the creation and development of Miami Lakes, a 3,000 acre master planned community. Today, The Graham Companies maintains being the largest landowner in the Town of Miami Lakes through apartment, office, industrial, retail, and hospitality holdings. Keeping to our roots, The Graham Companies continues to also be involved in the agriculture business with dairy, beef, and pecan orchard farming located in the Moore Haven, Florida and Southwest Georgia. For further information about The Graham Companies is available at miamilakes.com. Main Street, the social hub for Miami Lakes and the surrounding community, is comprised of restaurants, retail shops, apartments, offices, Shula’s Hotel, 17 screen Cobb Theater, and civic facilities, including the Town of Miami Lakes’ Government Center. Developed by The Graham Companies, Main Street has been recognized in many national publications, including both academic writings and business articles for being in the forefront of mix-use development. For more information on Main Street, please visit mainstreetmiamilakes.com.